When we are healthy, our body works as a complex machine that self-regulates the processes that are essential to life. Our heart tirelessly powers circulation, our respiratory system hums along exchanging oxygen and carbon dioxide, and our nervous system reliably directs our muscular system to allow both voluntary and involuntary movement. Homeostasis is a state of balance in which all the bodily systems are are working properly. The endocrine system maintains homeostasis by producing and secreting hormones in response to positive and negative feedback. Xocai Xe Energy drink contains several ingredients that help maintain homeostasis. Guarana, Maca, Yerbe Mate and Cocao are all known as ‘adaptogens’. Adaptogens are herbs that positively affect the entire organism as a whole. They promote general well-being, stamina and vitality. They help us manage stress without getting sick. They help us stay calm and focused so we can function at our best. When our bodies are operating in a state of homeostatic imbalance, we are at risk for disease. Some conditions caused by a lack of homeostasis are diabetes, hypoglycemia and dehydration. If you would like to try Xocai Xe Energy beverage or learn more about Xocai healthy chocolate, click the link it will take you to my online shop. One of Xocai’s weight-loss chocolate products is the Meal-Replacement Cookie. However, Xocai offers an entire line of dark chocolate products. There is a product for every type of chocoholic. At Xocai, we encourage chocolate lovers to ‘replace the bad with the good.’ With Xocai, you can enjoy superior health and superior chocolate. I love Xocai for its health benefits. I use the system below to market Xocai (and any other product or service that I find useful and valuable) and more importantly to learn how internet marketing nowadays works. If you enjoyed this article about Adaptogen, please comment below and/or tweet. Thank you! Comments Off on What Is An Adaptogen? I am a concerned parent and advocate for improved children’s health. Today’s topic is energy drinks. Many teens are under the false impression that energy drinks like Rock Star and Red Bull are similar to sports drinks such as Gatorade and Powerade. Energy drinks are completely different from electrolyte replacement drinks and we need to help our children understand the health risks they pose. 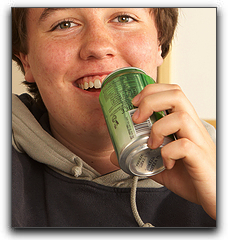 Most energy drinks contain dangerous chemicals that can harm kid’s growing bodies, especially their teeth. Energy drinks contain citric acid, fruit juices and extracts, sugar, and a dangerous chemical that gives them their bright color. They can damage tooth enamel with prolonged use. It is important for us parents to model healthy behavior for our children. If your kids see you guzzle energy drinks, you may want to think about the example you are setting. Amazingly enough healthy energy drinks do exist. Of course pure water 🙂 and Xoçai’s Xe. They don’t contain sugar or coffein but are loaded with anti-oxidants – and taste very yummy. Honestly, Red Bull tastes like gummy bears. Even though I do like gummy bears I don’t want to drink them. I sell child-friendly nutritional products that are enjoyed by healthy families. If you live in the USA you can order them today and have them delivered tomorrow. Comments Off on Healthy Energy Drinks? Are Energy Drinks a Fad? Energy drinks are not a passing fad. They are projected to outsell Coke and Pepsi in the USA and Canada over the next decade. XoCai, the original healthy chocolate company, has recently introduced Xe, the first health enhancing energy drink available in America. As Red Bull, Rock Star and Monster garner negative press for their health dangers and predatory marketing practices aimed at children, there is growing awareness and demand for non-harmful energy drinks. I am a proud and successful XoCai distributor in Switzerland and the surrounding european countries. I am extremely glad I chose to sell XoCai (pronounced ’show-sigh’) products when I started my business in October 2008. It was an important choice. 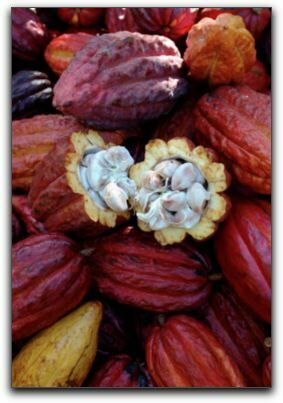 XoCai’s primary antioxidant chocolate product line has been selling briskly. Now, XoCai’s Xe is bringing a whole new group of XoCai customers; former Red Bull drinkers. Xe is so superior to Red Bull that it only takes one can to persuade any customer to switch. You can help american and canadian energy drinkers avoid the health dangers of Rock Star and Monster and profit from it at the same time. Just as dark chocolate lovers can replace their bad chocolate with XoCai healthy chocolate, Red Bull drinkers can replace it with Xe and receive a powerful, safe and sustained energy boost in addition to natural nourishment. I was at the launch of the Xe Energy Drink in Phoenix and Orlando and I love the taste. I heard that we in Europe will soon – probably next year – also be able to enjoy this wonderful tasty healthy energy drink. If you want to experience Xe or learn about the XoCai small business opportunity, contact me today. Comments Off on Are Energy Drinks a Fad?